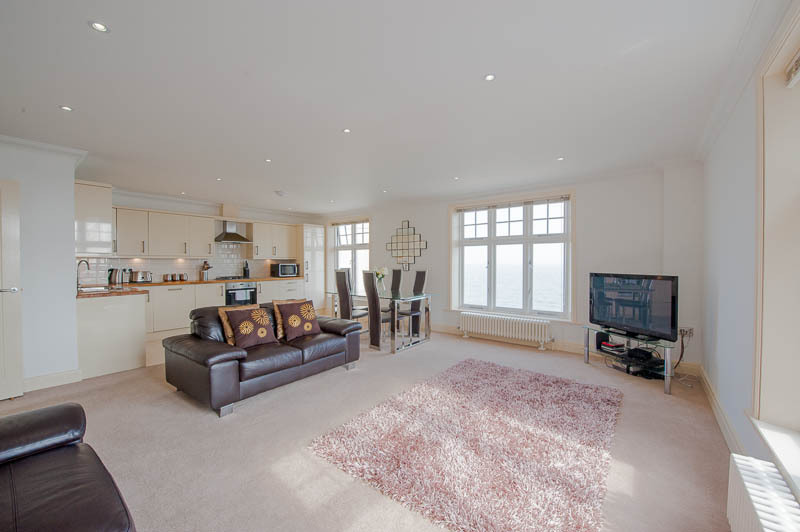 This first floor apartment has a large living, dining and kitchen area to the front of the apartment with calming views out to the sea. 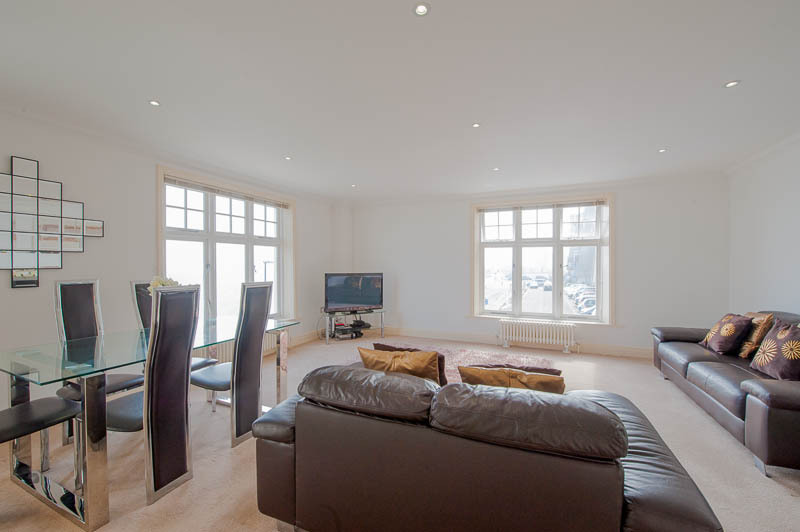 A Touch of Luxury - Sea Views, Generous and large sash windows. 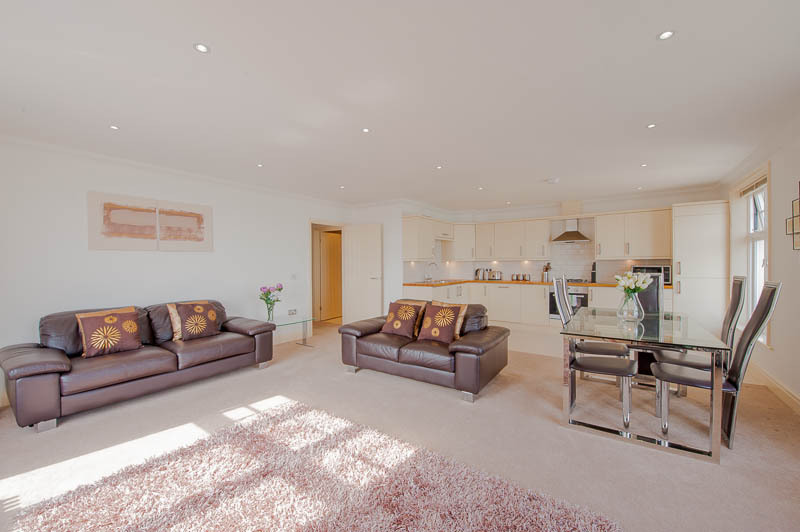 This first floor apartment has a large living, dining and kitchen area to the front of the apartment with calming views out to the sea. The living area is accommodating and comfortable able to seat a family of four. 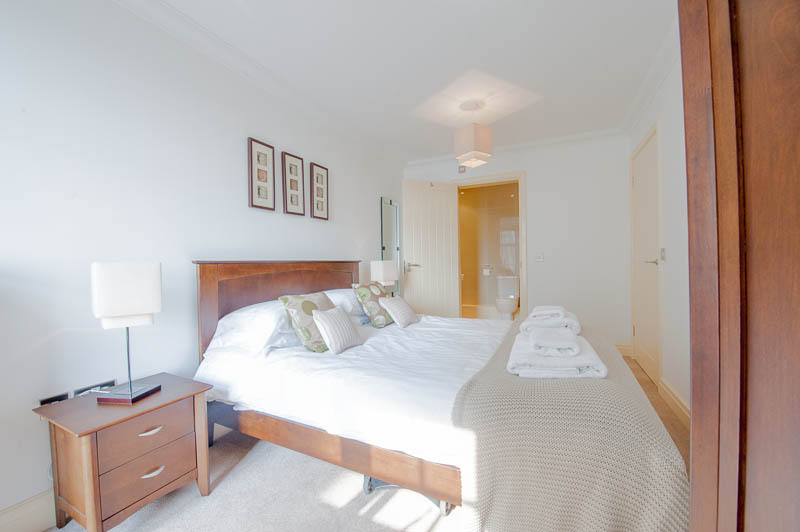 On entering apartment you have a tee shaped hallway with a lovely bedroom in front of you which has views out to the sea. 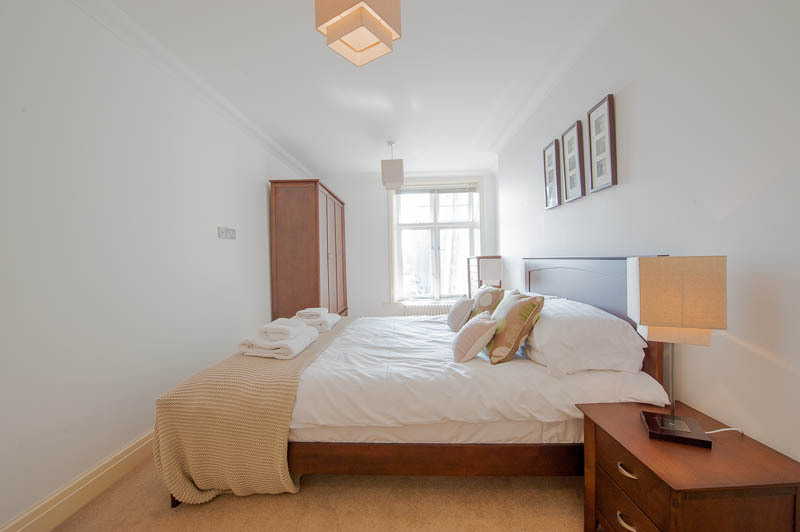 It is equipped with a comfortable bed, a generous size wardrobe and chest of drawers. There are lovely large windows letting in plenty of daylight. 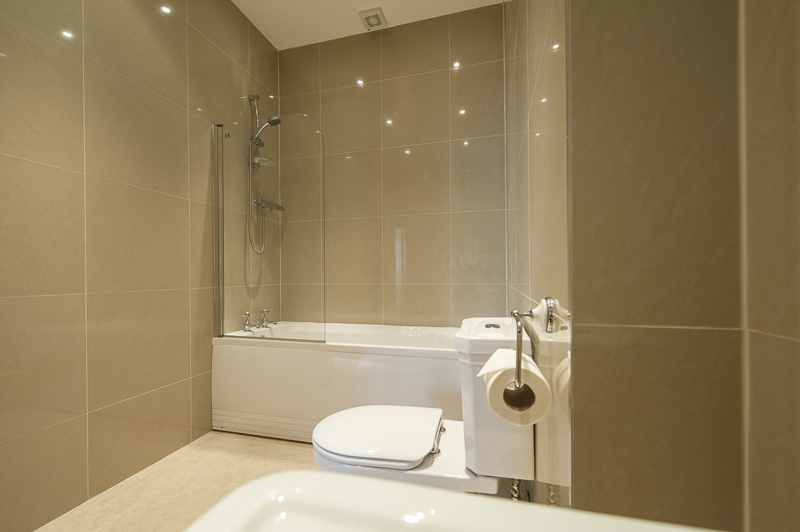 Also off the hallway is a very large family bathroom for the use of the family and any guests you have visiting. 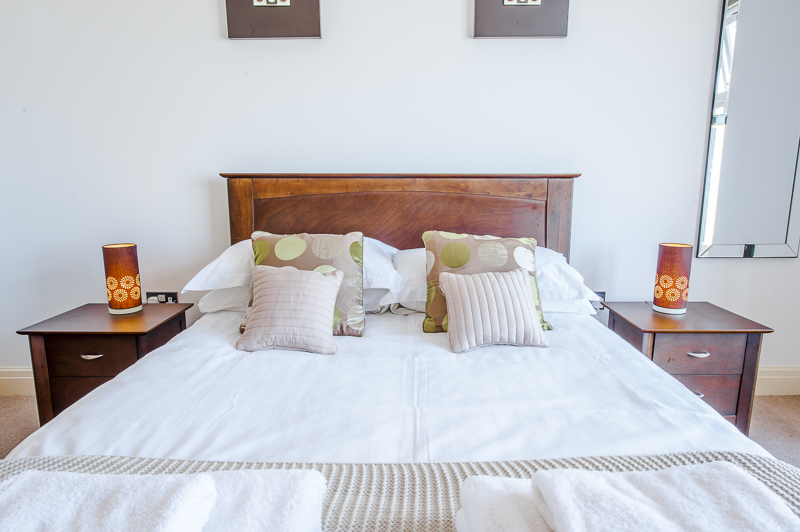 The second double bedroom is a real treat, probably for Mum and Dad. It is a good size, again with views afforded out to sea by the generous and large sash windows. It has a generous storage area and wardrobe, as well. 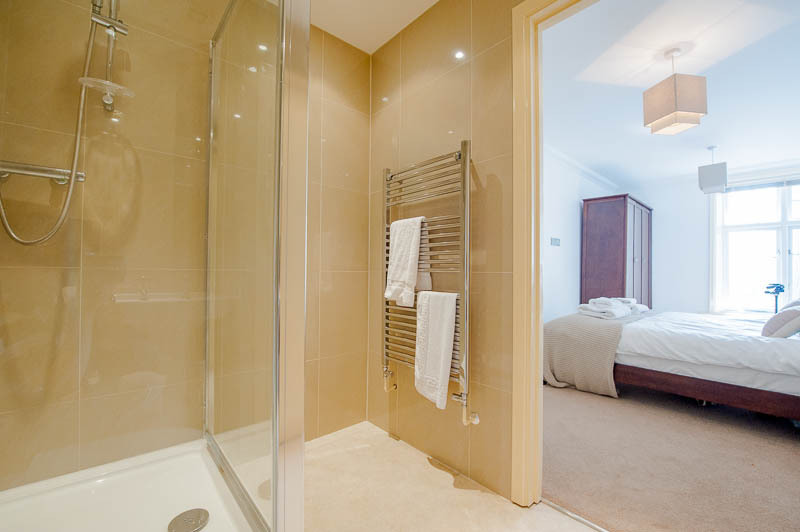 There is an ensuite bathroom serving this bedroom. It is quite difficult to describe how light, spacious and airy this apartment feels without actually experiencing it yourself. Generously sized rooms and well proportioned windows allowing the light in to the building and with the windows open in the summer, listening to the sound of the sea coming in to shore instils a real sense of calm. The building is grand and quite imposing on the seafront, and a short stroll from the harbour. 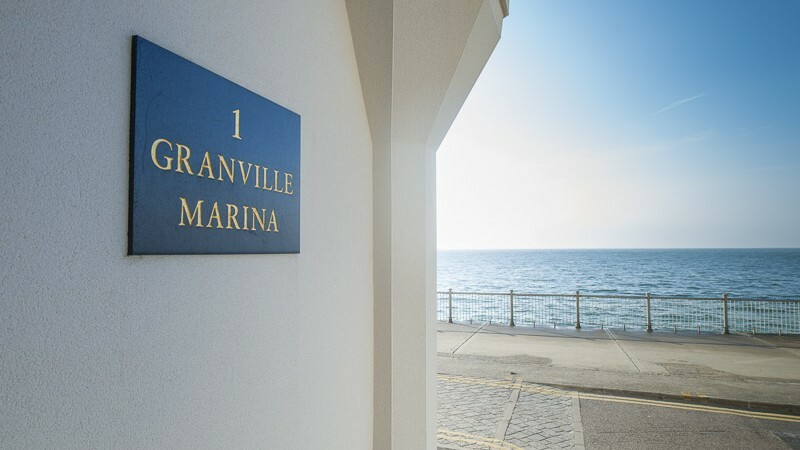 Taking in the boats in the glorious marina whilst having your lunch or a morning coffee is a short stroll away from Granville Marina. 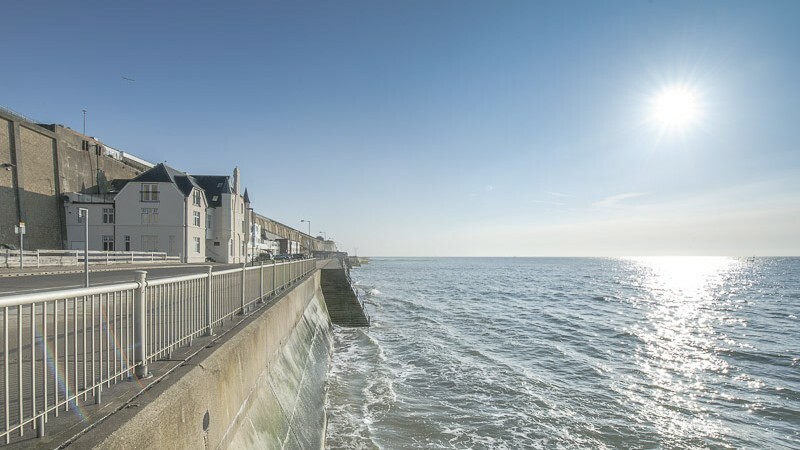 Ramsgate is gorgeous seaside town with the only Royal Harbour in the UK, a high speed train from London St Pancreas (1hr 17mins) and an international airport which connects you with Schipol, Holland. You will find the most amazing beach walks, lined with white cliffs and south facing. Foodies will love the range of eateries offered in both Ramsgate, Broadstairs and Margate. The Old Town in Margate offers great shopping for vintage lovers and the new Turner Gallery is a haven for lovers of art and culture. If you are travelling with children, a trip to this area is not complete without seeing the Museum in Quex Park. This building is perfect for travelling couples coming down to this corner of the world as a group of couples, a family of six, 2 people or even someone travelling alone. The building's apartment are arranged such that most parties' accommodation requirements can be met. The apartment is spacious, has great views out to sea and has all of the mod-cons you and your party will need. 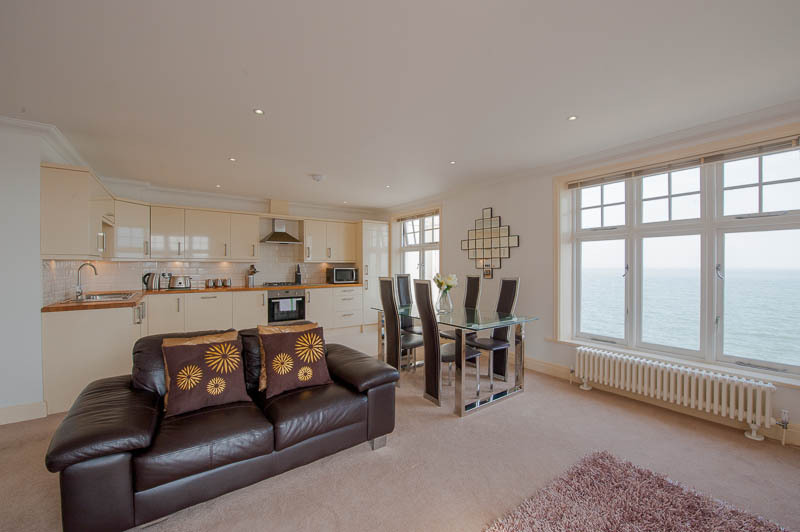 The property benefits from being on the seafront and having amazing views from almost every room. This property has the added benefit of parking. There is a private car park available for the use of the guests and this is a major plus in a town where parking can be tricky. "This lovely property is a well appointed gem nestled next to a scenic beach. You will set on the leather sofa and look out on the ocean that seems so close you will think you're on a cruise. Great local dining and markets sand easy access to Dover, Canterbury, and other points of interest. Looking forward to a return visit!"